After five albums, Joni Mitchell was ready for a change. Well-known for songwriting that restlessly laid bare the depths of her soul, she also had ambitions to move beyond the sparse folk underpinnings that were to that point expected of her. The year 1973 came and went without her releasing a record, the first year she'd skipped since her debut five years earlier, and when 1974 arrived, January brought Court and Spark, adorned by a sophisticated sonic sensibility that would define her career from that moment forward. Mitchell already had shown herself to be an idiosyncratic talent: she was three years removed from the milestone Blue (an album that retains its appeals as it approaches its 50th anniversary and continues to routinely appear on charts ranking the greatest albums of all time), and even made an impression in the commercial realm when her smart-aleck 1972 track "You Turn Me On, I'm a Radio" climbed to #22 on the Billboard singles chart. 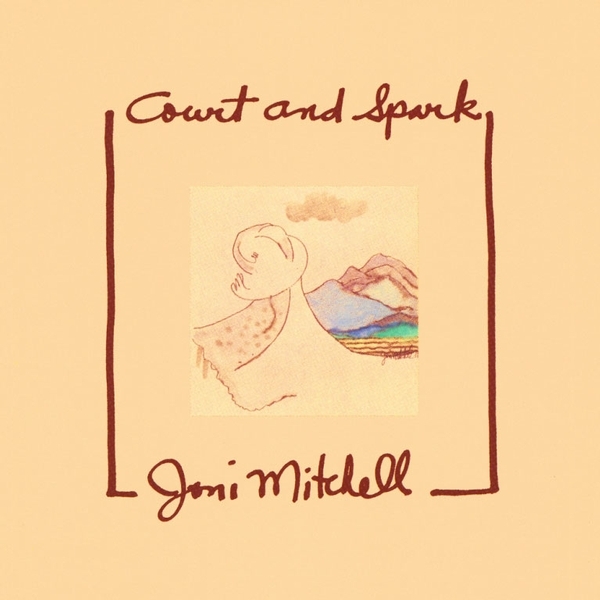 Along the way, her interest in jazz had manifested in subtle ways, but for Court and Spark, it would prove a defining trait, melded fully with pop and folk to synthesize a sound wholly her own. This article has been viewed 1,980 times since being added on November 16, 2017.